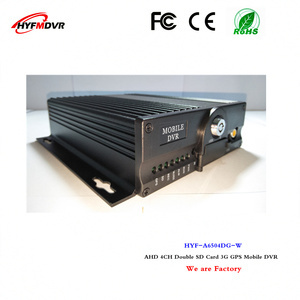 Also included would be a ruggedised anti-vibration mobile DVR to record and handle video feedsand a driver&rsquo;s monitor to display video. Benefits for fleet management 1. Save on fuel costs 2. Increase worker efficiency 3. Reduce vehicle wear and tear 4. Reduce Greenhouse-gas emissions 5. Precisely track the Vehicle&rsquo;s Location in real-time 6. Know the status of your vehicle (speed, ignition, mileage etc. 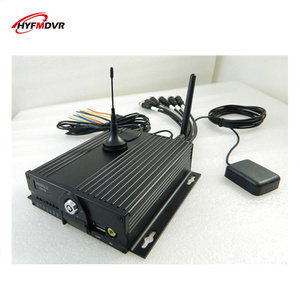 SW-MHVR5004SG Main processor Hi3520DV200 Operating system Embedded Linux Language Chinese/English Interface Graphical menu, support mouse Password security Two-level management: user password; administrator password V/A Video format PAL/NTSC Compression format H.
Your inquiry via email will be replied within one business day. ii. We will provide best pre-sale and after-sale service. We will replace a new item within 3 months. Shenzhen Gallop Technology Co., Ltd.
Shenzhen Yuanboda Technology Co., Ltd.
4CH 1-2 SD Cards Mobile DVR with GPS, 3G/4G/WIFI Optional Features: -Supports 4 channels AHD 720P -Supports 2 SD cards maximum for main recording -Supports GPS for location tracking(Optional) -Supports WIFI for video files download (Optional) -Built-in 3G/4G for live view and remote management (Optional) -Supports 360 degree anti-vibration -Supports USB2.0 high speed backup -Support PC and mobile(Android and iPhone) client remote monitoring Specifications: Video Video Input Input 4CH Video Input ( PAL/ NTSC 1.0Vp-p ) Compression H. Frame PAL 1~25fps , NTSC 1~30fps Video Output Output 2CH video output: CVBS signal ( PAL/ NTSC 1.0Vp-p ) Video playback Display 1 screen/2-screen/4-screen preview video Recording Power-on recording, Manual recording, cycle recording, timer recording, pre-recording Support OSD ( Such as license plate number , time etc. Infrared For remote control RS485 port One RS485 port to control PTZ System Language Simplified and traditional Chinese and English Interface Infrared remote control to control it Full menu (OSD) graphical user interface Safety Two user rights management Password encryption Time/Log Built-in clock Detailed log can record On/Off power, alarm, network, plug SD card, take out hard drive, operating and other information. Alibaba.com offers 3,928 sd card video recorder products. About 23% of these are cctv dvr, 20% are car black box, and 1% are artificial crafts. A wide variety of sd card video recorder options are available to you, such as free samples, paid samples. There are 3,840 sd card video recorder suppliers, mainly located in Asia. The top supplying countries are China (Mainland), Hong Kong, and Taiwan, which supply 99%, 1%, and 1% of sd card video recorder respectively. Sd card video recorder products are most popular in North America, Western Europe, and South America. You can ensure product safety by selecting from certified suppliers, including 887 with ISO9001, 407 with Other, and 99 with ISO14001 certification.